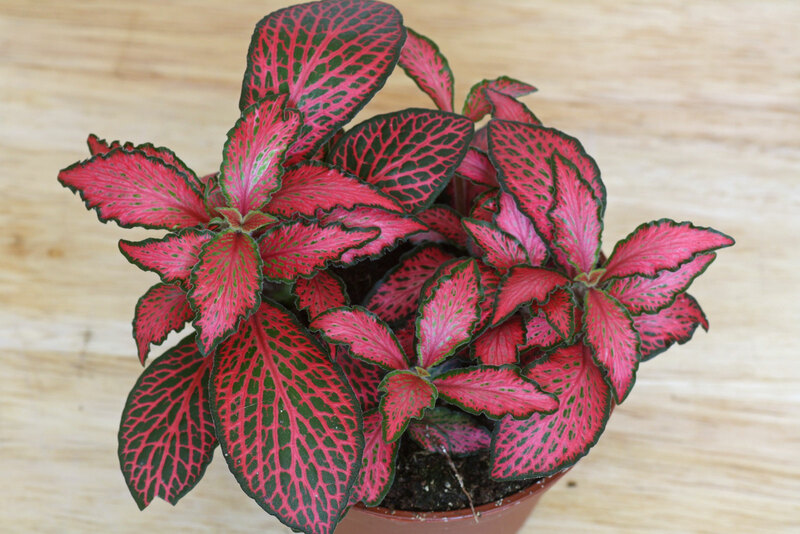 This plant loves humidity and warmth and makes a great terrarium plant. Keep it pinched back to encourage thicker growth. Two varieties are commonly available. The smaller leaved white-veined fittonia and the larger red-veined fittonia. Although requiring consistent moisture, the fittonia will recover if it wilts due to under watering.